You asked for it, and we listened! James Monroe’s Highland is excited to announce a new annual grounds membership program for families. For the first time at Highland, families will be able to purchase an annual pass granting them full access, during regular business hours, to the grounds of the historic estate. 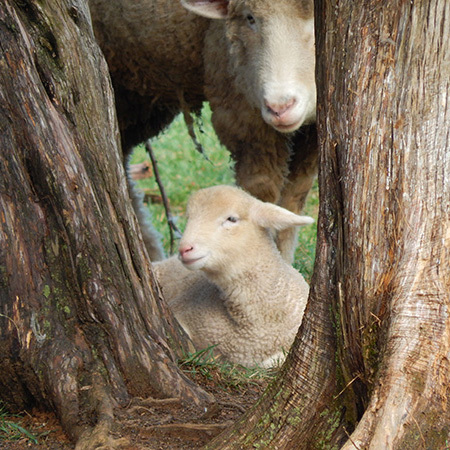 The pass also provides family admittance to the annual spring sheep shearing event, in addition to other exclusive family activities throughout the year. A family membership in Monroe’s Farm Friends costs $40 annually and covers an entire household, including two adults and all children 18 years old and younger. Additional adult family members, such as grandparents, can be added to a family membership for an additional cost of $10 per person. Monroe’s Farm Friends members will be issued two family membership cards, children’s activity passports, and souvenirs for the whole family! To register, please visit the museum shop or contact us at 434-293-8000.